Most of us are familiar with the term discipleship. 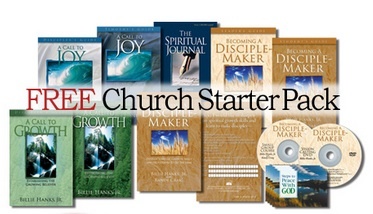 “Becoming a Disciple-Maker’s” ministry focuses on a more descriptive term, disciple-making. What sets these two terms, discipleship and disciple-making apart? Disciple-making describes effective Christian follow up by establishing a one-to-one discipling process at your church. A group of more mature believers are selected and trained to become equipped Disciple-Makers. When a new Christian or new member joins your church, they are offered a friendship with one of these trained Disciple-Makers. They meet one-to-one once per week, usually for coffee, breakfast, lunch, or dinner for about 1 ½ hours and learn to develop spiritual growth skills. The goal is for each new Christian to establish a friendship – become a self-feeder from the Word of God – grow spiritually – and then share their faith with others resulting in spiritual multiplication!